If you are the 'Torbay MG Owners Club Monthly Meet' Event organiser and you would like to update or amend the details shown, please contact us. Thank you. When is the next Torbay MG Owners Club Monthly Meet? Thursday 30th May, 2019. Torbay MG Owners Club Monthly Meet is listed under May 2019 Events. Although we try to keep the information for this event as up to date as possible, we cannot guarantee that things haven't changed at the last minute, and we haven't been informed. Therefore, please contact the 'Torbay MG Owners Club Monthly Meet' event holder directly to confirm all details (especially event name, dates and location) before setting off to Dainton Park Golf Club. 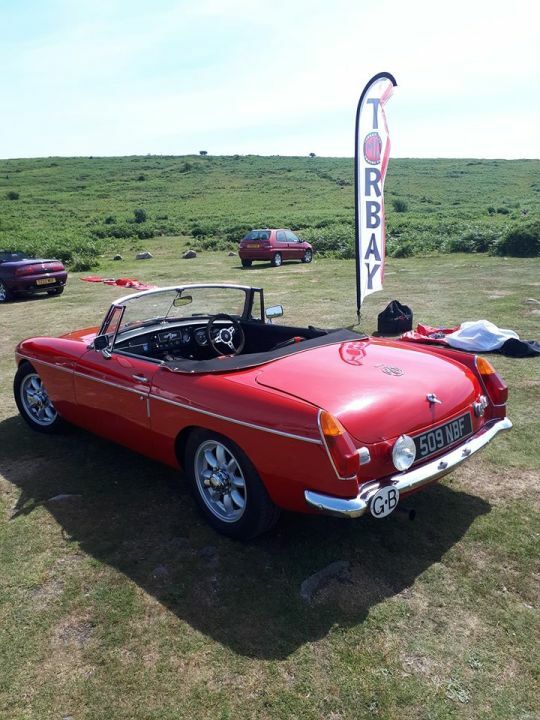 The Torbay MG Owners Club Monthly Meet is planned to take place at Dainton Park Golf Club, Newton Abbot, Thursday 30th May, 2019. Club Meet For All MG Owners and Enthusiasts. Everyone welcome to join us regardless of Car age, New or Old as long as its a MG! New Members Welcome to pop along and see if you like us . . . No Badge Title wearers, No Committees, Just nice group of people having fun!